Just in time for the cooler weather and the earlier sun down of fall evenings. 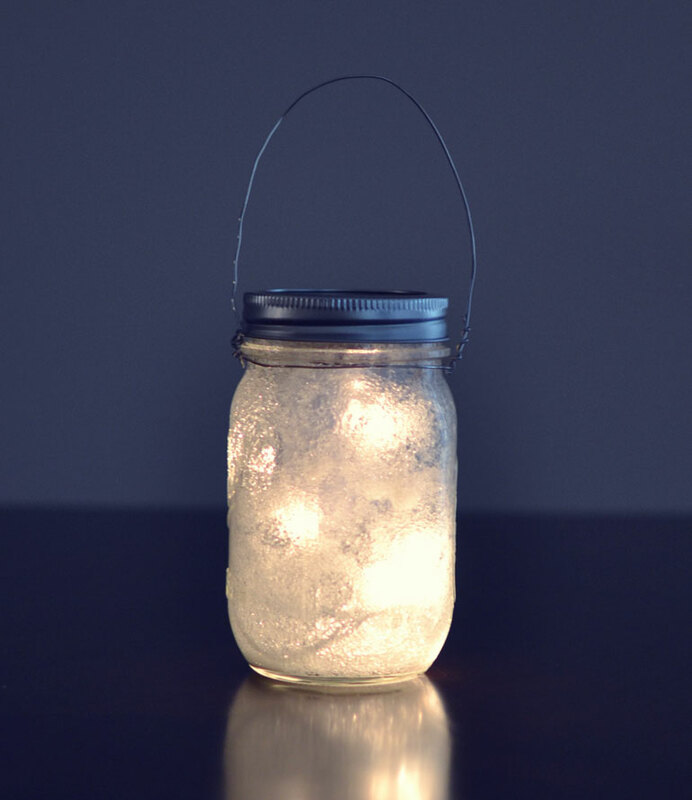 These glittery, twinkling lighted jars are perfect on the front porch during this time of year. . . and leave them out until after Christmas. They transition perfectly from fall decor to winter Christmas decor as well. They are also an easy diy project which makes them so affordable! 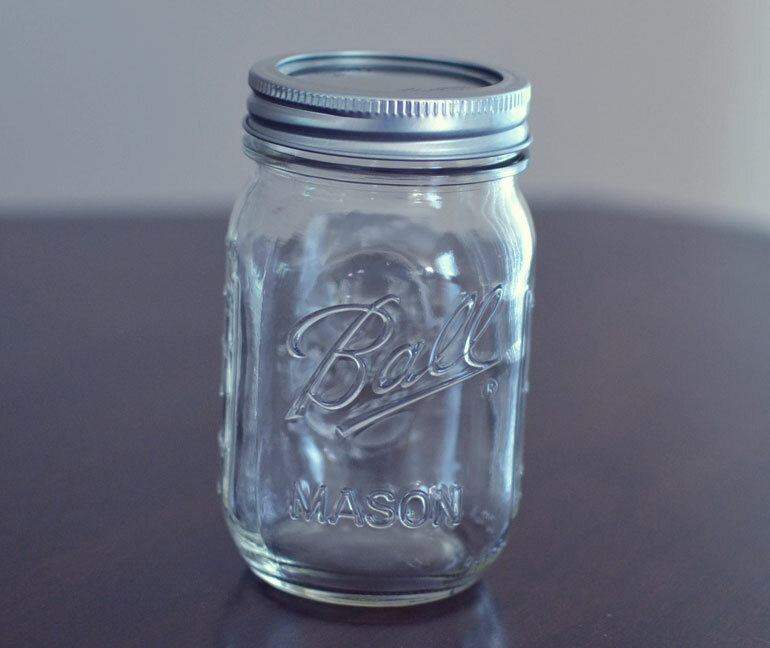 Start with one mason jar. 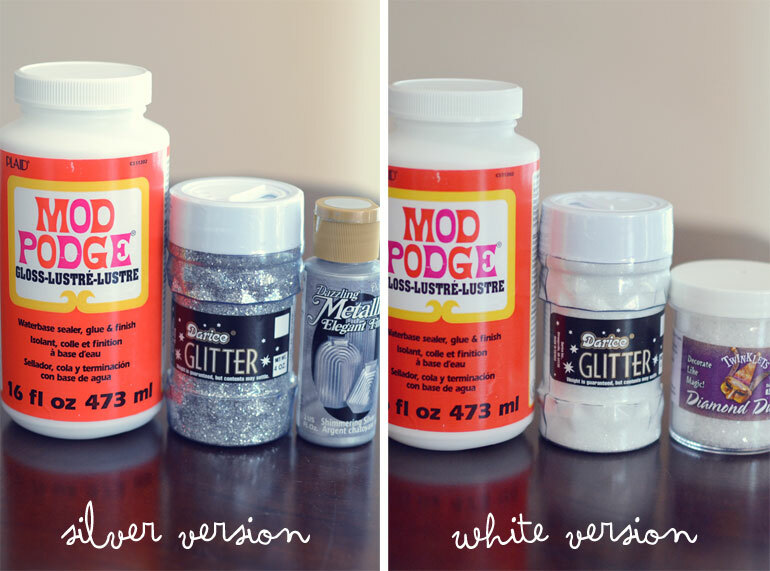 Shown here are two different versions in silver glitter and white glitter. You can use gold glitter as well. The gold would look great for fall and would carry over well for Christmas. 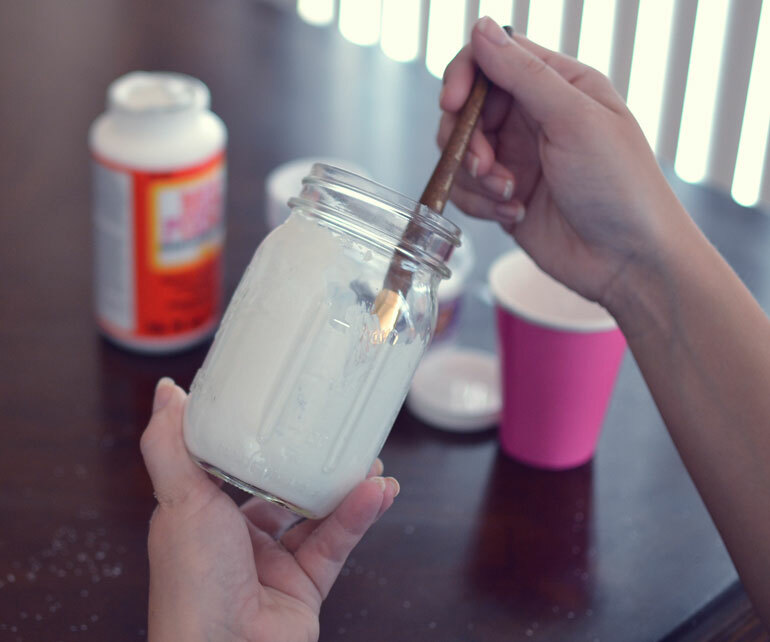 Next, make a special mix of your glue and glitter in a disposable cup. Add enough glitter so that it is chunky. Mix well. 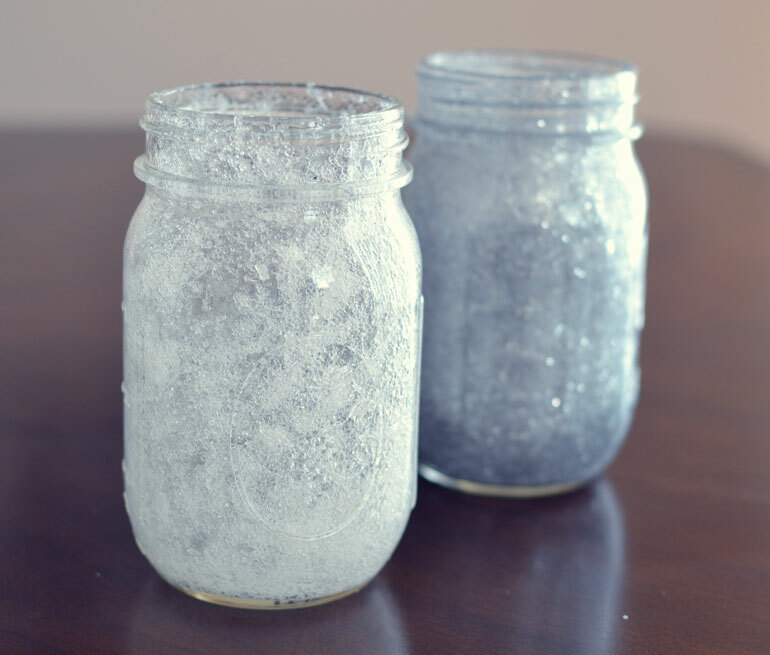 Using an old brush, coat the inside of your glass jar with your glitter mix. Let that coat dry completely (a few hours) and then apply a second coat. Here are the jars after one thick coat of the glitter mix. They are still slightly damp, so they have not become completely translucent yet. 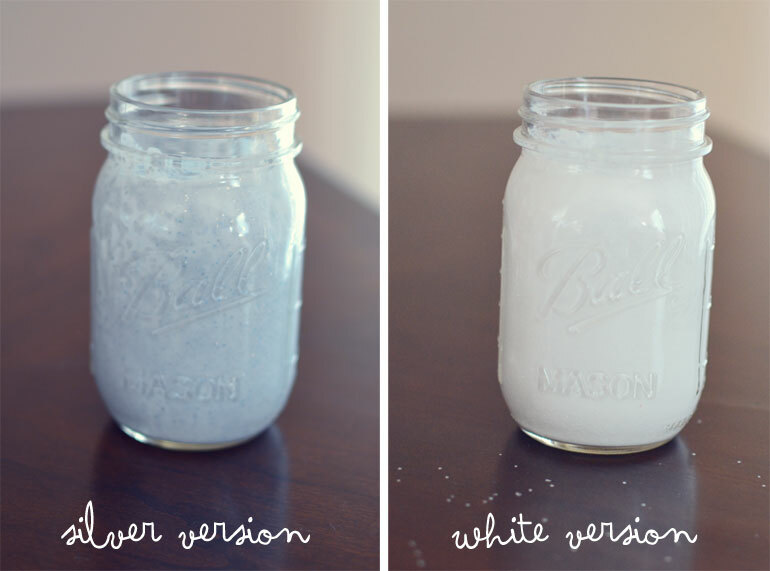 The jars should look like this after two coats and when they are completely dry. Once the jars are completely dry, you are ready to add the battery powered lights. 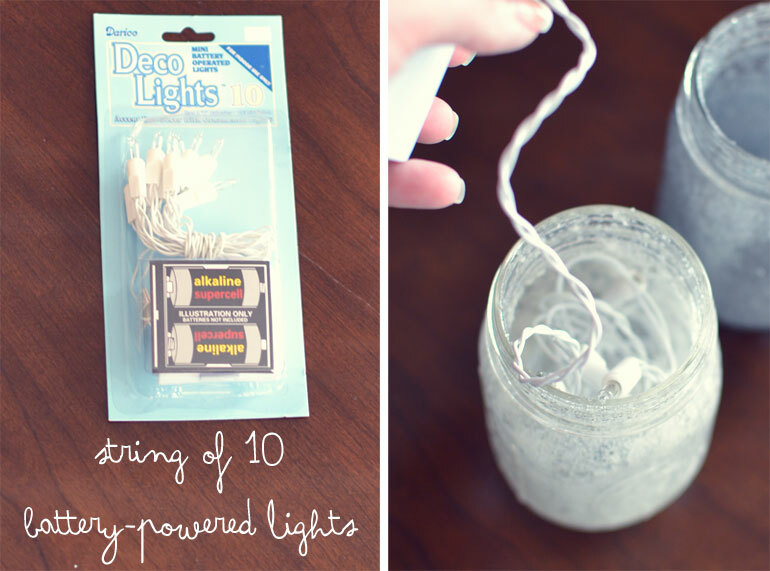 Open your package of lights and unravel the strand and then carefully insert them into the jar. 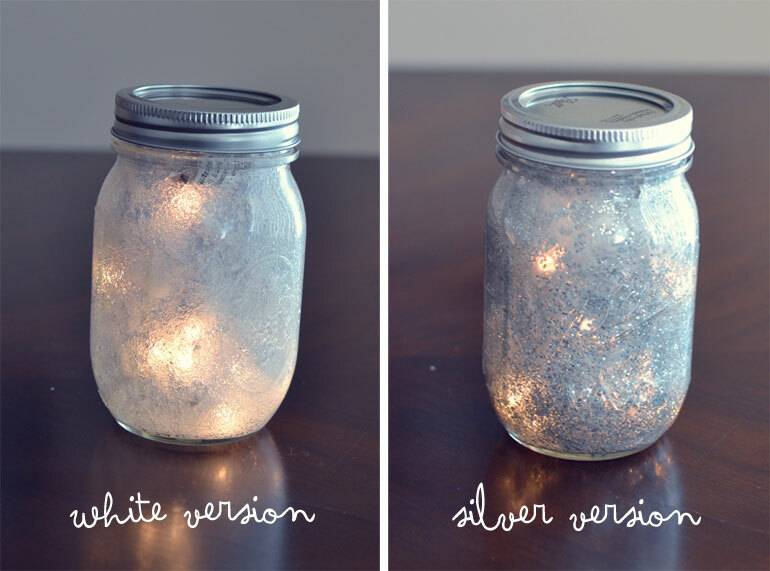 Try not to scrap the edges of your jar, or you will remove the glitter coating. Its best to start with the end of your strand of lights at the bottom of the jar and add the lights in a circular spiral around the edges and up to the top with your battery pack at the top- this way you can easily add new batteries when needed. You can also use LED lights, if you can find strands small enough or you can even add in fancy twinkling mini lights that can be found a local craft stores. 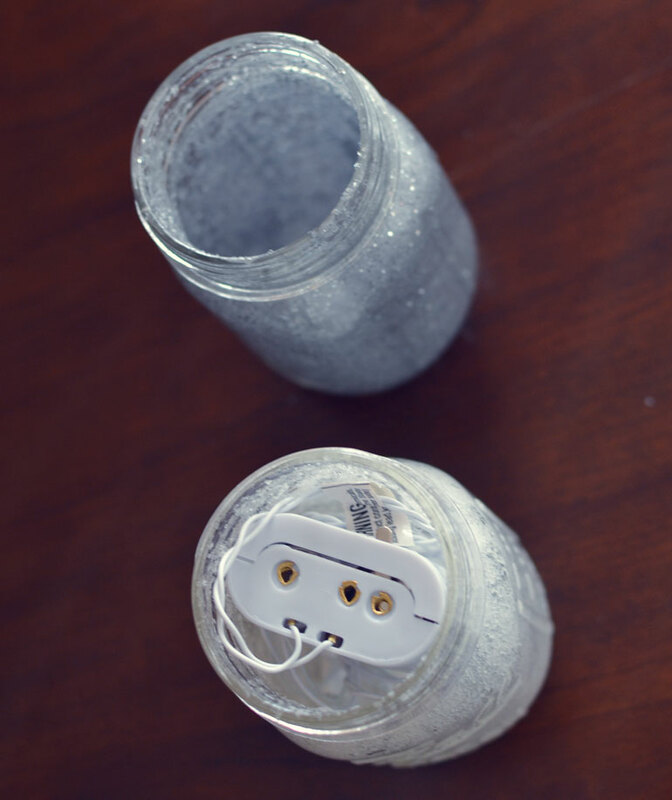 Here are the jars, both with white and silver glitter, with the lights turned on and lit up! They even glow in the daylight! You can add a finish to the top with either a tied ribbon bow, fall or Christmas style ribbon or even burlap would be great or if you want to create a farmhouse style lantern, add wire handles to the top. 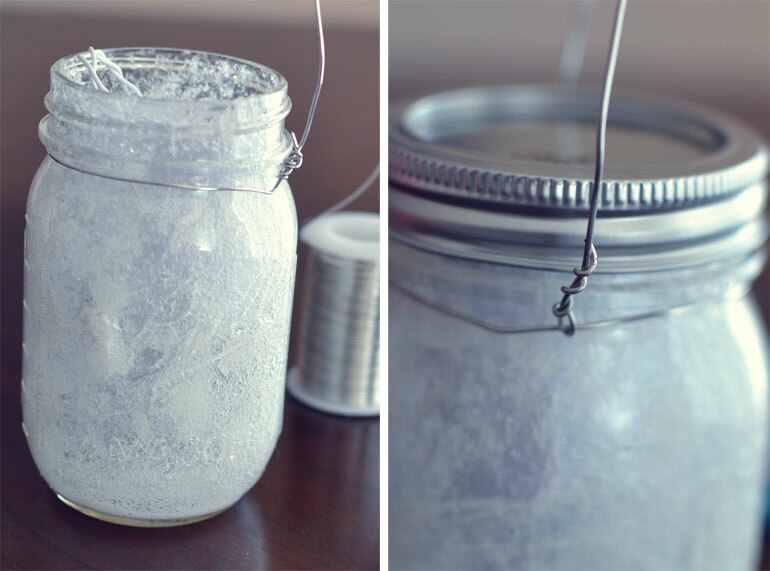 Simply cut a long strand of wire and make a circular ring with it around the top of your jar. Cut another long piece of wire, about 8 to 10 inches long, depending on how long you want your handle, and bend it in the middle to make a loop at the top for the handle (as shown), then, take each end, about an inch and loop it under the ring and up around the handle. There you have it, your very own fall farmhouse style mason lights. By the way, I survived the move to the new house and all my shops are now back open for business. I will be busy adding new fall and Christmas decor over the next few months.